Covered wounds heal faster than if left uncovered. 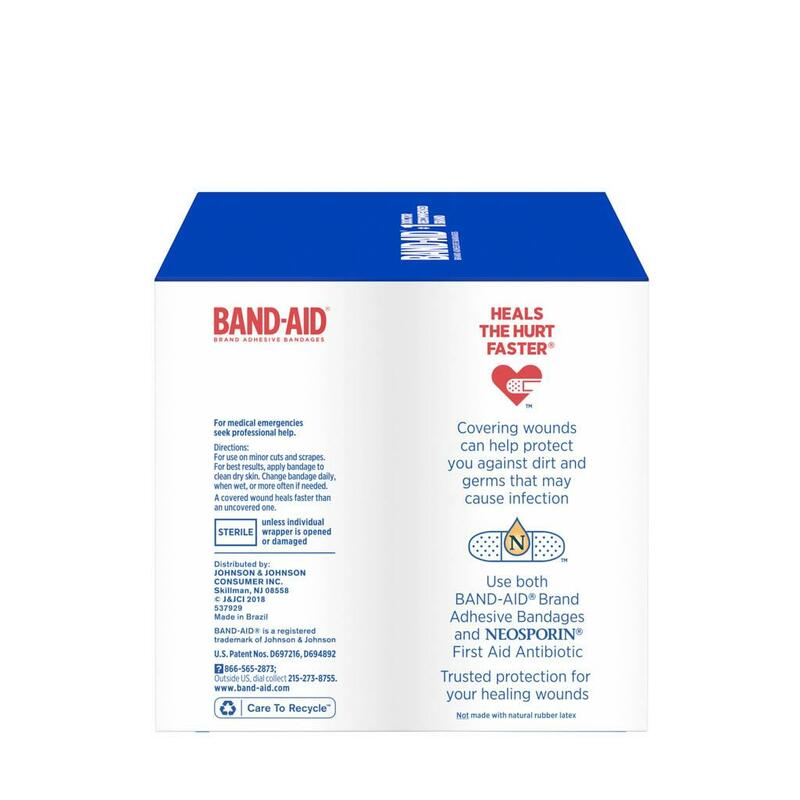 Try BAND-AID® Brand Adhesive Bandages from the #1 doctor recommended bandage brand. 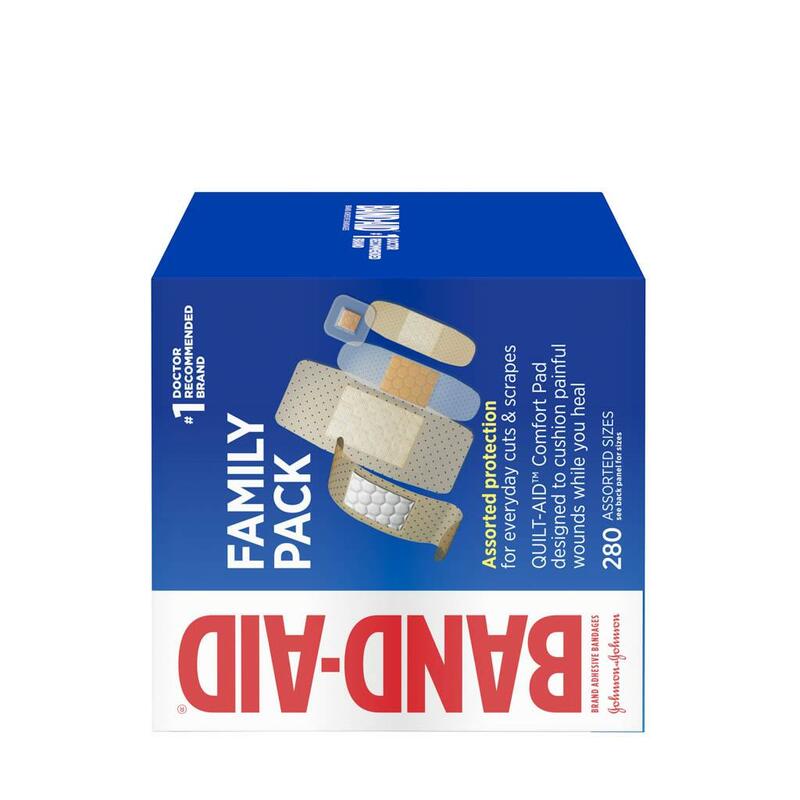 The BAND-AID® Brand Adhesive Bandage Family Variety Pack contains assorted sizes of sheer and clear bandages. 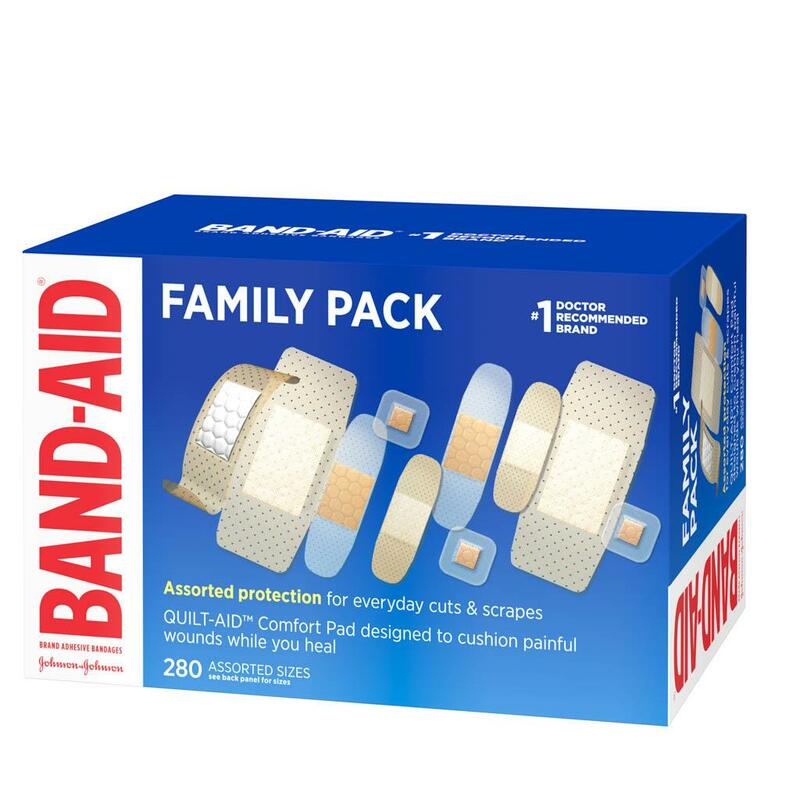 These BAND-AID® Brand Adhesive Bandages feature a QUILT-AID™ Comfort Pad designed to cushion painful wounds while you heal. The backing of the flexible bandages is designed with MICROVENT® Technology for superior breathability. 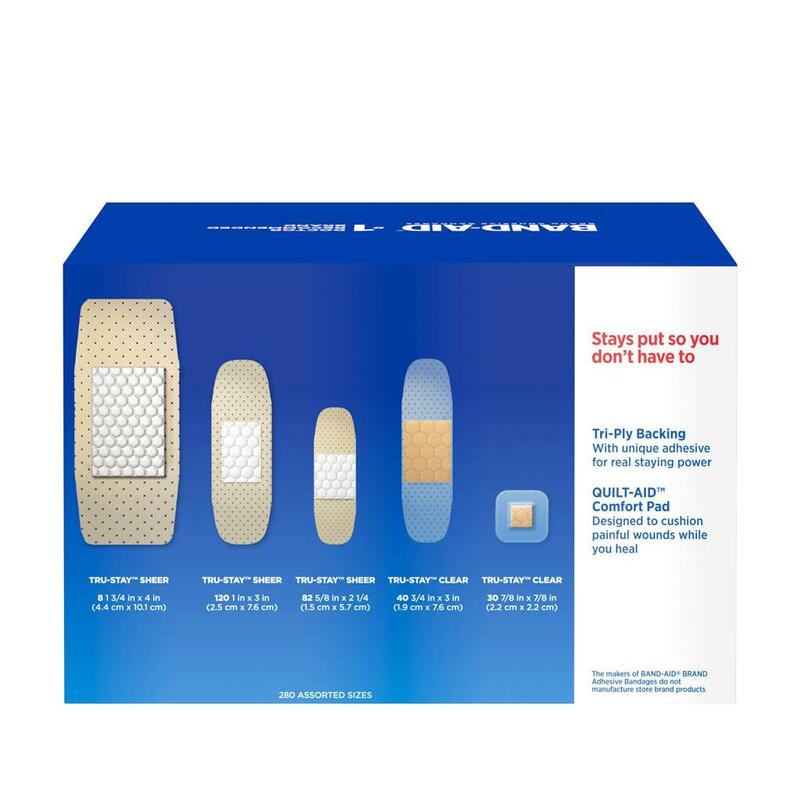 Available in five different shapes and sizes, this package contains 280 sterile BAND-AID® Brand Adhesive Bandages, including: 8 BAND-AID® Brand Adhesive Bandages Sheer Strips, BAND-AID® Brand Adhesive Bandages Sheer Strips measuring 1.75 by 4 inches; 120 BAND-AID® Brand Adhesive Bandages Sheer Strips measuring 1 by 3 inches; 40 BAND-AID® Brand Adhesive Bandages Clear Strips measuring .75 by 3 inches; 82 BAND-AID® Brand Adhesive Bandages Sheer Strips bandages measuring .625 by 2.25 inches; and 30 BAND-AID® Brand Adhesive Bandages Clear Spots bandages measuring .875 by .875 inches.